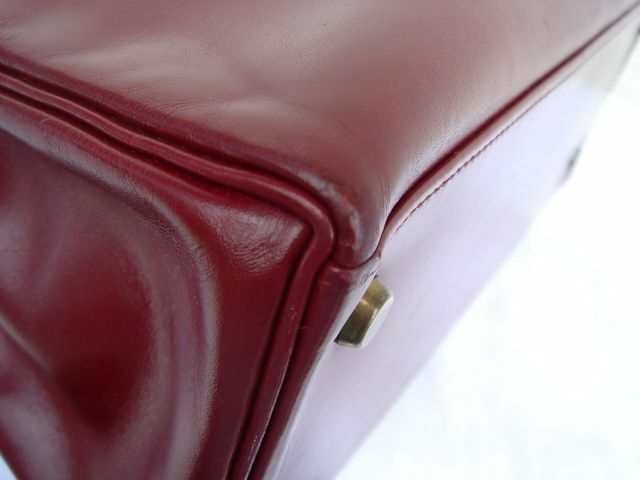 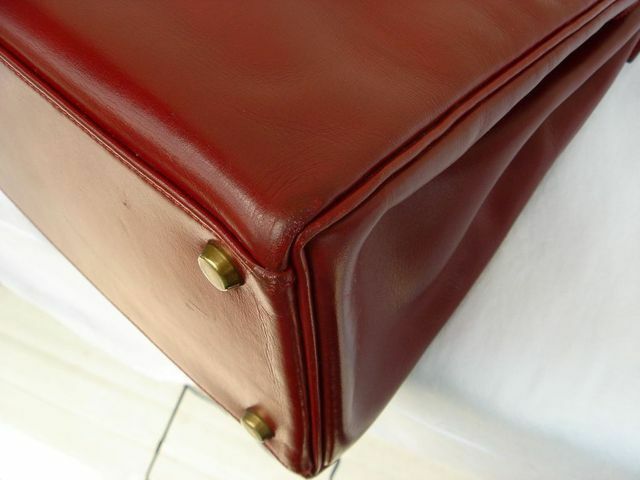 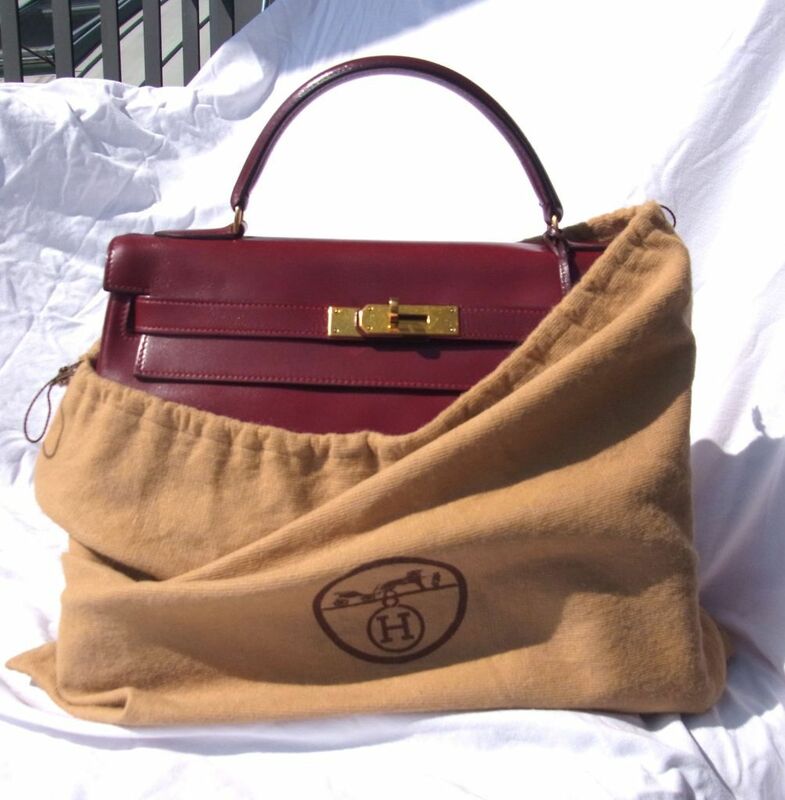 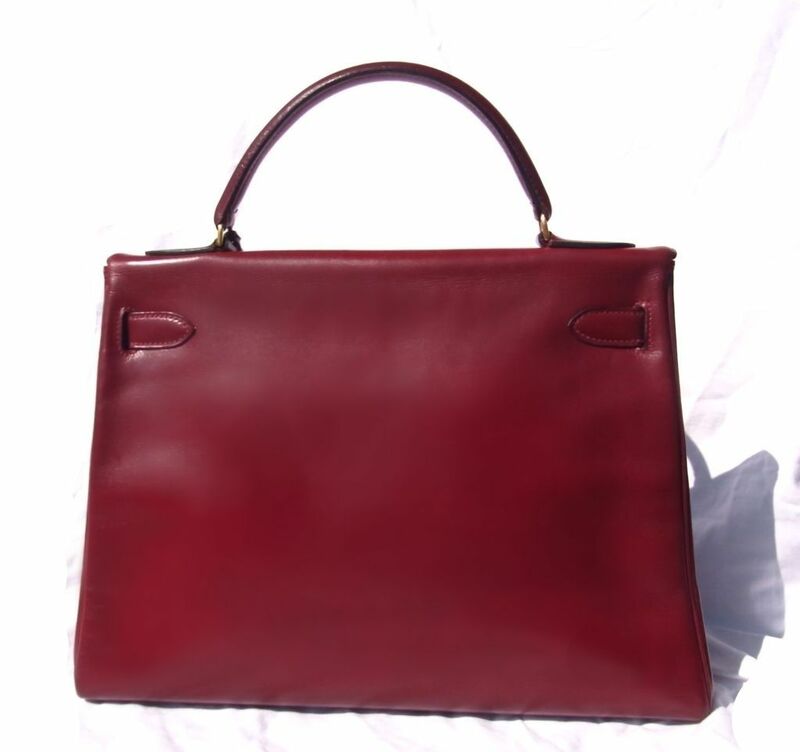 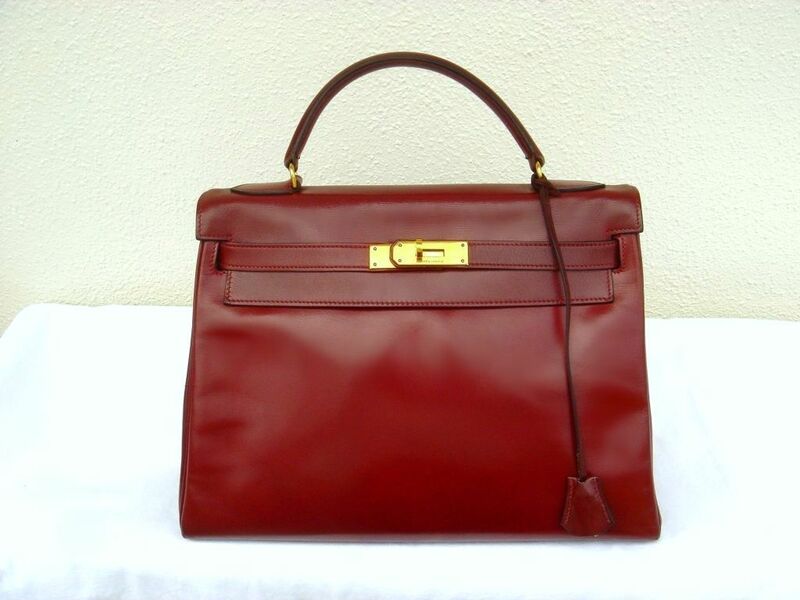 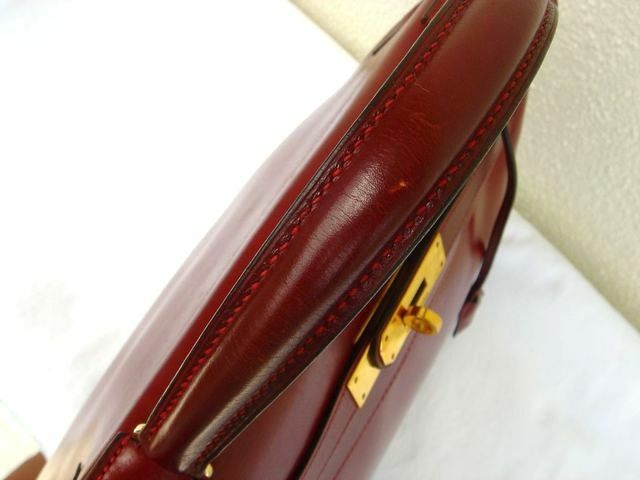 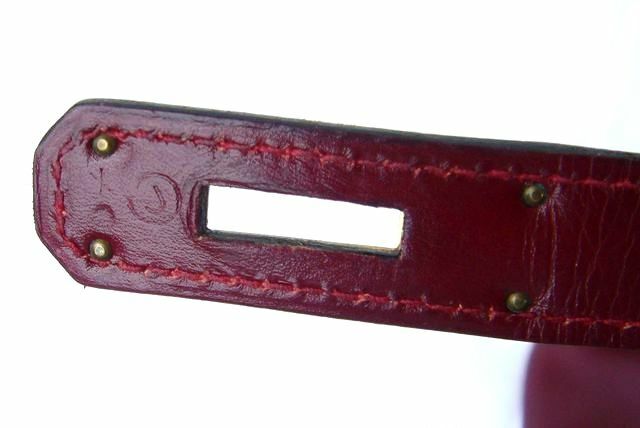 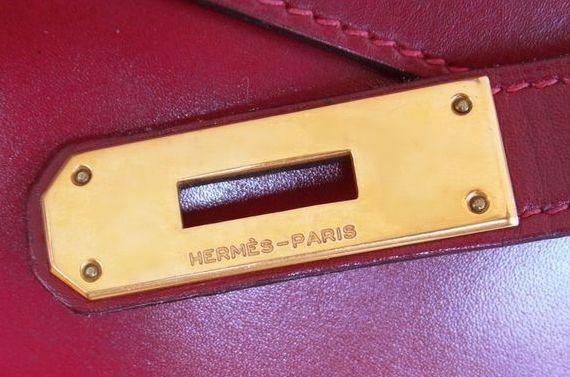 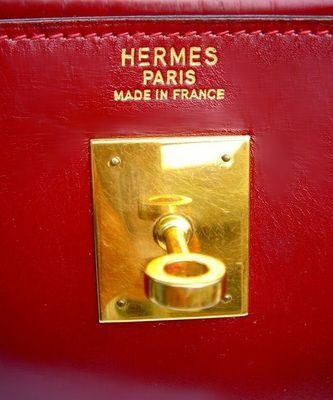 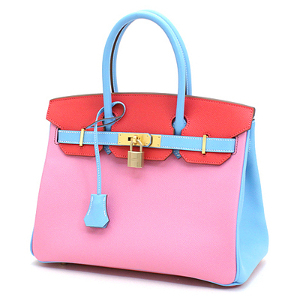 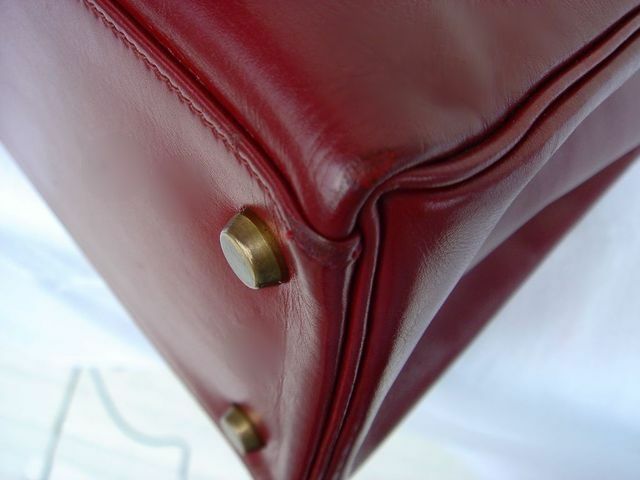 This is a beautiful vintage Hermes Kelly bag with a distinct soft but stiff box calf leather from 80's which is hard to get scratched, and is easy to stuff many items in the bag. 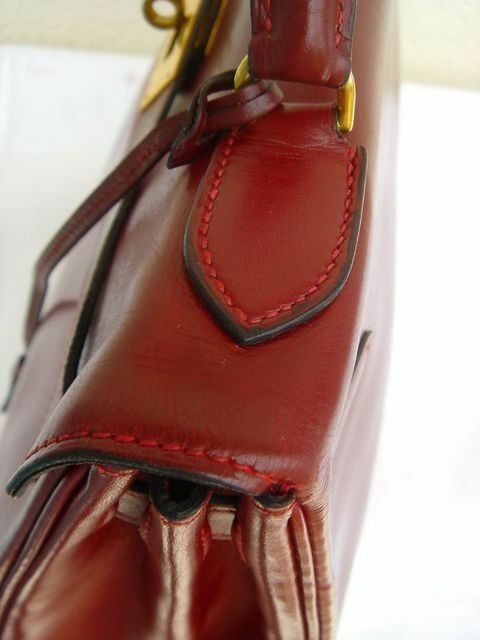 Bottom corners are discolored but no complete color losses. 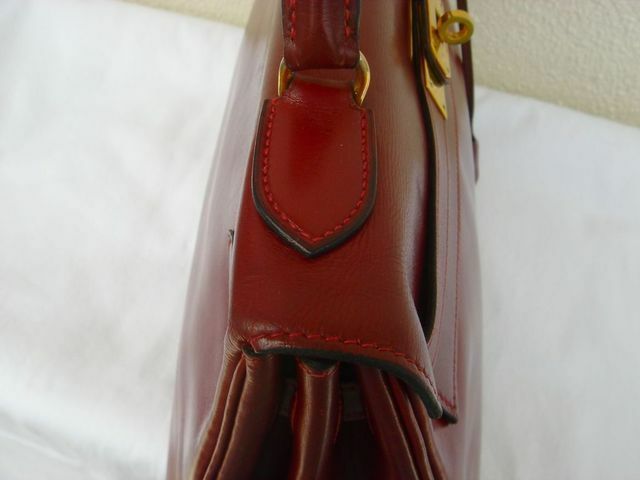 There are some wrinkles on the upper flap in the front and the back. 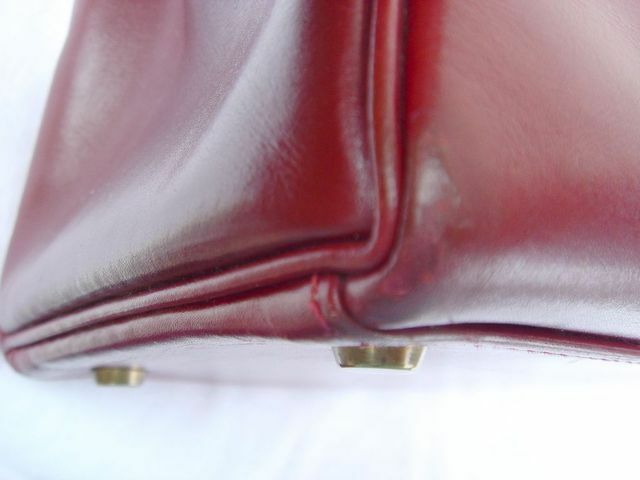 Metal parts have some very small scratch marks.